Giles is an intelligent writer that has done his homework and presents his case well. He is right in saying that Americans have their politics wrapped up in their Christianity. There is no morally right political party and pinning all of your hopes and dreams on any party platform will leave Christian believers disappointed. Let’s begin by analyzing what he does a good job of in this book. Early on Keith Giles lays out a Christ-centric view of the scriptures. 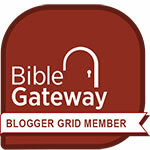 “The way I view Scripture is very Jesus-centric. That means I view all of Scripture through the lens of Jesus.” “Jesus-centric Christians also believe that in Christ we have the best and clearest picture of who God is and of what God wants.” On this point we agree. The Old Testament scriptures must be viewed through the lens of the Gospel. Jesus is kind of like a magic decoder ring that makes OT stories make sense. The Bible, from one end to the other, is about how a holy God deals with people that are sinful, fallen and broken. At the center of that story is Jesus. But Giles goes on to contrast that with the way most Christians, by his reckoning, view scripture. He outlines a “flat Bible” approach that views all of scripture on a equal playing field. Flat Bible Christians tend to downplay (Giles, p.34) the teachings of Jesus. He claims that flat Bible Christians want to argue all scripture is equally authoritative without really believing it is so nor putting that belief into practice. He creates a straw man that he can easily knock down. His compare and contrast gives him something of a magic bullet that he uses at leisure to reference Old Testament passages and New Testament epistles but deny his opponents the ability to reference anything other than the teachings of Jesus in the four Gospels. “Some ‘flat-Bible Christians might claim that the Ten Commandments are still relevant for us today. But according to the very same Bible, this is not the case.” (Giles, p.45) Are they not? When asked by lawyers about the greatest commandment in Matthew 22, Jesus responds by saying “You shall love the Lord your God with all your heart and with all your soul and with all your mind. This is the great and first commandment. And a second is like it: You shall love your neighbor as yourself. On these two commandments depend all the Law and the Prophets.” (Matt 22:37-40) This is a brilliant answer as it did not give the scribes and Pharisees anything to accuse him with. But it’s also more than that; it is a quotation of the Law from Deuteronomy and Leviticus. (Deut 6:5, Lev 19:18) Does it also suggests that the Jesus of the Gospels felt the Old Testament scriptures and the Law were authoritative in the life of the believers? Giles claims that God always looks like Jesus, so no surprise that the God of Levitical priests and the Deuteronomist answered the critics of Jesus well in Matthew 22. But what about the 10 Commandments? Consider those in Jesus’s response. If you love the Lord your God with all of your heart, soul, mind and strength you will not forget him, worship another, build an idol or fail to honor his Sabbath. If you love your neighbor as yourself you will not lie to him, steal from him, kill him or sleep with his wife! There is no way to keep those two greatest commandments and break any of the ten listed on the stone tablets. What about the 10th commandment? You shall not covet is a command that relates to the heart and mind. You could covet your neighbor’s possessions or even spouse without ever doing anything. No one among us knows what’s happening in your mind if you don’t act (no one but you and God). In the Sermon on the Mount, which Giles holds in particular high regard among all that Jesus ever said or did, he told us that to look at a woman with lustful intent is to have already committed adultery in one’s heart. To hate your brother and wish harm upon him is like already committing murder within the heart. Our thoughts can be sinful even if there is no victim. That is an Old Testament idea from the Ten Commandments themselves that carries forward into the life of the New Testament believers via the very teachings of Jesus per the Sermon on the Mount. The Gospels of Matthew, Mark and Luke all share the story of Jesus being tempted by Satan. At the very beginning of Jesus’s public ministry Satan tempted him three times with an easy way out. The nature of all sin is that we settle for less than the very best God has for us. After fasting for 40 days, Jesus was tempted to turn stones into bread. He responded with scripture: “Man shall not live by bread alone but by every word the proceeds from the mouth of God.” Satan used words of scripture as well when he suggested Jesus prove himself to the world by throwing himself from a high place in Jerusalem. Jesus countered with scripture that “you shall not test the Lord God.” Finally Satan offered Jesus kingdoms of the world if he would bow down and worship him. All Jesus had to do was forego the plan of God the Father for his life, taking the easy way to immediate success rather than the long, slow, painful path to the cross. But that was God’s plan for salvation and Jesus chose that over Satan’s shortcut. The point of the story is that Jesus resisted Satan’s temptations, eventually commanding that he get away from him. One compelling reason was undoubtedly because when Satan offered Jesus the opportunity to advance the Kingdom of God by wielding political power over the nations, he refused. Such a temptation was from the Evil One. If Jesus could not bow down and worship Satan by entering political office, perhaps we shouldn’t either. Yielding to temptation would have derailed God’s plan of salvation and that’s why Jesus resisted not one or two but all three offers Satan made. Jesus would not have bowed down to Satan by entering political office. Satan told him to literal bow down and worship him! Giles twists the message the Gospel writers were sharing about resisting Satan and striving to do God’s will in order to tell a story about using political office. All discussion of politics aside, what Jesus Untangled does on page 53 is poor biblical scholarship at best and possibly outright bad theology. It’s too late for me to brief but I will try to wrap up. Giles warns about nationalism and believes that America is very similar to the Roman empire, a different kind of empire but an empire nonetheless. You can be patriotic without going to the unhealthy extreme of nationalism. We could debate whether the United States is building an empire but I will take the position that it is not. Maybe during the 19th and very early 20th century that was the case. But later the Philippines were granted independence, Puerto Rico given the vote in democratic elections and offered statehood and later we simply gave away the Panama Canal. The United States extends its influence across the globe but is not acquiring territory and wealth the way empires do. Free market capitalism may be greedy but it is not imperialistic. There’s a whole chapter in his book titled “Why Your Vote Doesn’t Count” that I can’t even think about formulating a response to. Giles is right about some things. Being American is not the same as being Christian. Advancing the Kingdom of God by sharing the Gospel should be our highest calling and most pressing concern. We are ambassadors of that kingdom and only pilgrims and strangers in this world. Our view of scripture should be Jesus-centric. But I disagree with virtually all of the conclusions he uses these truths to arrive at. I believe we can be civically minded, responsible citizens and good Christians being conformed to the image of Christ. Paul was a zealous Pharisee and later a world changing Apostle while being a Roman citizen from Tarsus at the same time; but Giles would call me a “flat-Bible” Christian and cite there is nothing in the Sermon on the Mount about being a good citizen. Except walking the second mile, but I’m trying to brief. This book presents some good history from the first three centuries. If you long for the days of the Anabaptists, a group of Christians persecuted by both Catholics and other protestants, you might enjoy this book. If there were any Anabaptists around today Giles would join them in a heartbeat. He rejects voting in elections, serving in the military in any capacity whatsoever and even engaging in commerce. He doesn’t say so but his beliefs almost seem to reject Christian business owners. I wonder how he feels about Christian bookstores and publishers; he no doubt wants you to pay $19.95 for the paperback he just released. My recommendation is that you not. Note 1: I hold a BS in history and political science. I taught U.S. History for a number of years at a private Christian school. I am probably not the “target demographic” for this book. Note 2: Disclosure of Material Connection: I received this book free from the author and/or publisher through the Speakeasy blogging book review network. I was not required to write a positive review. The opinions I have expressed are my own. I am disclosing this in accordance with the Federal Trade Commission’s 16 CFR,Part 255. This entry was posted in book review, Christianity and tagged #JesusUntangledSpeakEasy, America, American Christianity, American Christians, Christianity, Christians and voting, citizenship, Jesus and politics, Jesus Untangled, Keith Giles, political power. Bookmark the permalink. Thanks for reviewing my book! I would like to clarify something about the 10 Commandments and their relevance to Christians today. As you point out, following Jesus does lead us to love our neighbor, and by doing so we are therefore not killing, stealing,etc. My point is that this is incidental. We are following Jesus – not the Law – when we love one another as Christ loved us. It is an obedience based on love [as Jesus stresses over and over again in the Gospel of John chapter 14 and 15], not an obedience to the Laws God gave to the nation of Israel as a sign of His Covenant with them…a Covenant which, as I demonstrate in my book, is “obsolete”, “fading” and “vanishing”. An analogy might be that if we hold a conviction that is similar to what the Koran teaches, that doesn’t mean we are followers of Islam. The correlation does not prove collusion. We just happen to agree with Muslims on a particular point, but we are followers of Christ and they are not. I suppose the “why” is what I’m getting at. Why do Christians keep the law? Because we are transformed by the indwelling power of Christ and He empowers us [compels us] by His Love to become people who bear good fruit [as we are abiding in the Vine]. We do not keep the Law outside of this connection to Christ. Neither does anyone else. As for America being an Empire, I believe everyone can read my book and decide for themselves if I have made my case or not on that issue. Thanks again for the honest review! I would say that if you don’t already have a King to obey or a Kingdom to pledge allegiance to, then certainly you may feel the need to salute the flag and engage in the politics of that nation you were born into. But if you DO have a King and a Kingdom that supersedes all others, then pledge allegiance to that King and become more patriotic about that one Holy Nation. He says to “seek first” not “seek only.” I’m playing with words, I know. I believe as Americans we have a civic responsibility that makes us better as a whole. My actions affect not only me but other members of society. That is true no matter what society we are talking about. Withdrawing from the societal collective is selfish. Not voting, not running for office, not serving on a jury, doesn’t make one a better servant of God’s kingdom. What about paying taxes? That is taking part in the system. Jesus told his followers to pay their taxes to Caesar. When we pay our taxes we also a voice in how those taxes are spent. Politics will not make the world a better place. But if enough of us don’t bother then the people still using their voice will make it a worse place. Jesus is not running for office; but Satan is. So…are you sure Jesus isn’t offering us an “either/or” choice? Can we follow Christ and the World at the same time? If you believe that the way of Christ and the way of the World [or politics] are essentially headed in the same direction, then yes, you may straddle that line between them. But I believe Jesus is pretty clear that His path leads away from all other paths. Jesus leads us “true North” and the ways of the world [and that would include politics] are “headed South” [if you will]. We cannot walk north and south at the same time. IF we try we will either walk in circles or be torn in half. As for paying taxes, Jesus and Paul both affirmed that we should pay our taxes. Agreed on that point. But be careful not to render to Caesar what belongs to God. And, finally, putting the Gospel of Christ into practice in our daily lives hardly qualifies as “doing nothing” or disengaging from our culture. It is the very power that can transform us – and the culture – into the image of Christ…making us, and our neighbors into people who love and act like Jesus. THAT is how we change the world. And that is exactly what my book encourages followers of Jesus to understand and engage in. On that point, at least, I hope you and I agree. I’m not talking about following the world. I’m talking about following Jesus and being a good citizen along the way. I’m obviously not going to change your mind about your beliefs but I’m frustrated you can’t even understand what I’m talking about. In Soviet communism, the state was the highest allegiance one had. The official religion was always atheism because no authority existed higher than the state. Following Christ and being a good Soviet were diametrically opposed to each other. Following Christ and being a good American are not. It’s not required or necessary but you can do both without conflict. I can conform more and more to the image of Christ and still serve on a jury when called. A person of character and moral fiber, i.e. Christians, should make better jurors than followers of the world. A Christian business owner or factory worker, just like a Christian that is elected to political office, seeks to serve Christ in all he or she does. I voted for Donald Trump. But I’m not following Trump or endeavoring to become more Trump-like. By the same token I don’t have to denounce American citizenship to become more Christlike. You don’t have to hate America in order to love God and seek his Kingdom.